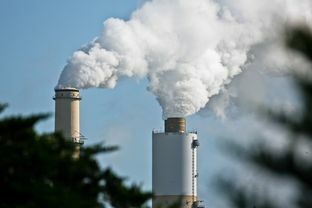 The Environmental Protection Agency proposed tougher new limits on Tuesday on smokestack emissions from Texas and 22 other states that burden downwind areas with air pollution from power plants they can’t control. At the same time, the EPA moved to remove two states — South Carolina and Florida — from the “good neighbor” rules, saying they don’t contribute significant amounts of smog to other states. The EPA’s proposal on downwind pollution follows a federal appeals court ruling this summer that upheld the agency’s right to impose the clean-air standards, which block states from adding to air pollution in other localities. Some states and industry groups had argued that the rule was overly burdensome. The rule applies mostly to states in the South and Midwest that contribute to soot and smog along the East Coast. Under the EPA’s proposal, states would have to comply with air quality standards for ozone, or smog, set by the George W. Bush administration in 2008. Current rules are based on pollution standards developed in the late 1990s. “This update will help protect the health and lives of millions of Americans by reducing exposure to ozone pollution, which is linked to serious public health effects including reduced lung function, asthma … and early death from respiratory and cardiovascular causes,” EPA Administrator Gina McCarthy said in a statement. The proposal reinforces the obligations states have to address air pollution that is carried across state lines, McCarthy said. See here for the background. The ruling in question struck down some earlier regulations, but affirmed the EPA’s authority to set regulations on this. I won’t be surprised if there’s another lawsuit over these rules, but one way or another in the end there will be new rules. It won’t mean anything to those that are hell-bent on suing, but it is worth keeping in mind. President Obama is set to unveil the nitty-gritty of his sweeping, state-by-state plan to fight climate change this week — his most determined effort yet to tackle the effects of global warming by reshaping the nation’s power sector. Under a draft proposal outlined last year, Texas — home to about 20 operational coal-fired power plants — would have to slash roughly 200 billion pounds of carbon dioxide emissions in the next two decades. The state’s ultimate target will become known when the EPA unveils its final rule, expected as early as Monday. An EPA spokeswoman would not confirm or deny that change, but if true Fainter said it would make even less sense for Texas not to come up with a plan. Some utilities agree. “If, in fact, the states are afforded more time to craft their (implementation plan), it seems logical that they would want to avail themselves of this time to develop a solution which addresses the individual and unique situation of each state,” said Brett Kerr, a spokesman and lobbyist for Calpine, the largest independent power producer in the nation. See here, here, here, and here for the background. It would be nice to think that Texas could participate in the process rather than file another pointless lawsuit, but then it would also be nice to think I could eat pizza and ice cream every day while losing weight. Fish gotta swim, birds gotta fly, Texas AGs gotta file lawsuits against the public interest. It’s the way of the world. The plan has now been released, so cry havoc and let slip the lawyers of war. We’ll know in a couple of years if this is going anywhere or not. Texas was among 13 states, joined by industry and labor groups, that sued over the so-called Cross-State Air Pollution rule in 2011, challenging the EPA’s framework and complaining states weren’t given enough time to comply. The regulation requires Texas and other “upwind” states in the South, Midwest and Appalachia to cut certain emissions that contribute to air pollution in East Coast states like New York. See here for the background. The DC Court had previously ruled against the CSAPR, but SCOTUS overruled them. The EDF explains what this ruling means. The D.C. Circuit Court decision recognizes that, when the Supreme Court upheld the Cross-State Air Pollution Rule in April of 2014, it affirmed EPA’s fundamental methodology for implementing the “good neighbor” protections of the Clean Air Act. Today the D.C. Circuit Court granted claims by Texas and other states challenging particular emissions budgets while firmly rejecting associated requests to vacate the state-based emissions protections and rejecting several additional fundamental legal claims. The rule’s life-saving pollution reductions remain in full effect. So that’s pretty good. I trust the revised rules the EPA comes up with will also be pretty good. Tough luck, polluters. Plus ca change, and all that. Texas again went head-to-head with the Environmental Protection Agency before the U.S. Supreme Court on Wednesday, this time challenging federal limits on the emission of pollutants like mercury, acid gases and other toxic metals from power plants. Joined by 20 other states, Texas is arguing that the EPA didn’t properly consider the $10 billion annual price tag of its regulations, which “threatens to drive a number of coal-fired electric utilities out of business.” The rules target more than 50 coal- and oil-fired power plants across Texas, and industry and labor groups are also challenging them. The EPA counters that Congress never directed the agency to consider costs the way Texas and other states think it should have. And in any case, the agency argues, the benefits far outweigh the costs. The agency asserts that the rule prevents up to 11,000 premature deaths per year. Mercury, a highly toxic chemical that can build up in the human body, is linked to brain abnormalities and developmental disorders. At the heart of the case is whether deeming regulations “appropriate and necessary” should include an aggressive consideration of costs early in the process. The plaintiffs say yes; the defendants say no. The D.C. Circuit Court agreed with the defendants last year, pointing out that the courts have previously said the EPA doesn’t need to consider costs that way unless Congress directly tells it to. If the high court disagrees, a key issue will be how the benefits of environmental regulations should be quantified. Right now, the EPA says the benefits of the mercury rule could total as much as $80 billion, which dwarfs the estimated $10 billion cost. Opponents say the $80 billion figure is misleading. Only $4 billion to $6 billion of it comes directly from reducing mercury pollution, they argue; the rest is a “co-benefit.” That’s because removing mercury from the air also removes the particulate matter it’s often attached to — leading to increased health benefits. During oral arguments on the case Wednesday, Chief Justice John Roberts said that type of co-benefit calculation “raises the red flag” and looks like the EPA is trying to reduce particulate pollution through the back door. That would be an “end-run” around a separate part of the Clean Air Act that the agency must follow for that type of pollution, he said. “It’s not an end-run, and it’s not a boot strap,” responded U.S. Solicitor General Donald Verrilli, who was defending the EPA. Calculating co-benefits is “a perfectly appropriate way to deal with getting at metals and other pollutants that would be hard to get at directly,” he said. I’m sure there’s some subtle legal reason why removing the particulates attached to the mercury shouldn’t count, but I’m too simple a soul to see the logic of it. That won’t be an issue if SCOTUS agrees with the DC Circuit about the bigger question of whether or not the EPA had to consider costs in the first place. I’m sure you’ll be shocked to hear that Anthony Kennedy is the swing vote. Let’s hope we get the good Justice Kennedy this time. The good news is that Texas has an abysmal won-lost record on matters like these. But there’s always a first time, so let’s not get too confident. And thus another loss for Greg Abbott and Rick Perry. The Supreme Court on Monday mostly validated the Environmental Protection Agency’s plans to regulate power plant and factory emissions of greenhouse gases blamed for global warming while imposing some limits on the agency’s reach. The justices said the EPA could not rewrite specific standards written into the law, but they still handed the Obama administration and environmentalists a big victory by agreeing there was another way for the EPA to carry out its program. The court ruled in the 2007 case, Massachusetts v. EPA , that carbon dioxide and other greenhouse gases are pollutants that can be regulated under the Clean Air Act. That case, which was brought by states that said the EPA under President George W. Bush was not doing enough to fight global warming, concerned regulating motor vehicles. The Obama administration later reasoned that “stationary sources” — factories, power plants and other structures — were also subject to the permitting requirements in certain parts of the act. But the EPA has acknowledged that the permitting thresholds set by the Clean Air Act do not fit well with something like carbon dioxide, which is ubiquitous in the environment. While the law said pollution limits of 100 to 250 tons per year triggered permitting requirements, the EPA had to raise those to 75,000 to 100,000 tons per year for greenhouse gases to identify the facilities most in need of regulation. The Trib and Vox have pretty good explainers of the case and the ruling, so go check them out. It’s not a complete win for the EPA, but it’s still a solid ruling for them. Texas was of course one of the lead plaintiffs in this action, but as has been the case before, they lost. There’s no other litigation pending currently, but I’m sure there will be more in the future. TPM, dKos, and the EDF have more. Some very good news for people who like to breathe. The question was who should pay for air pollution that crosses state lines. The answer, the Supreme Court ruled Tuesday, is blowing in the wind. States in the Midwest and South whose polluted air flows north and east must comply with a federally imposed solution, a 6-2 majority of justices ruled. The decision, written by Justice Ruth Bader Ginsburg, was a boon for the Obama administration and its environmental regulators, who have proposed a rule requiring some 28 upwind states to slash ozone and fine particle emissions by varying amounts because of their downwind effects. Most of those states have rebelled against the one-size-fits-all solution. The case focuses on air currents miles overhead but has down-to-earth consequences. The EPA blames exposure to ozone and fine particles in the air for one in 20 deaths in the United States, 90,000 hospital admissions, 200,000 non-fatal heart attacks and 2.5 million cases of aggravated asthma. A three-judge panel of the U.S. Court of Appeals for the D.C. Circuit struck down the rule last year, ruling that EPA didn’t give states enough time to devise their own emissions reduction plans. It also said the agency did not limit the fix to each state’s “significant contribution” to the overall problem. But the court’s majority ruled that with air pollution blowing in the wind, it would be nearly impossible to apportion blame precisely, making a federal solution based on costs and other factors more palatable. The justices also noted that mid-Atlantic and Northeast states cannot meet federal emissions control standards without help from their neighbors to the west and south. Maryland, which spent $2.6 billion on its own emissions control efforts between 2007-10, estimates that 70% of its air pollution floats in over its borders. See here, here, and here for the background. I confess, I wasn’t too optimistic about this at the time of the appeal, but I’m glad to have been proven wrong. Also proven wrong: Greg Abbott, who was of course one of the 14 AGs to pursue this litigation. Just another bad day at the office for you, Greg. Well, this latest loss by Greg Abbott is a big gain for a lot of people. The Trib notes that SCOTUS isn’t done with this issue. The Supreme Court is also expected to issue a ruling in the coming months in a case on federal greenhouse gas permitting rules. Justices had heard arguments in February from Texas and other states against the rules. I believe that’s this case, and if they uphold the EPA’s actions again it’ll be quite the clean sweep for the Obama Administration. As always, however, you never know what SCOTUS might do, so let’s keep the anticipation in check for now. A copy of the SCOTUS decision is here, a statement from EPA Administrator Gina McCarthy is here, and a statement from the Texas League of Conservation Voters is here. Texas Clean Air Matters, the Texas Green Report, and Daily Kos have more. The Obama administration’s climate change agenda on Monday faced one of its first real tests in front of the U.S. Supreme Court, where Texas and a group of industry leaders challenged an Environmental Protection Agency regulation aimed at limiting greenhouse gas emissions. The scope of the question at hand is narrow because it only deals with permitting. In court cases in 2007 and 2011, the Supreme Court upheld the EPA’s ability to broadly regulate greenhouse gas emissions from “mobile sources,” like motor vehicles, and “stationary sources,” like power plants. Still, if Supreme Court justices agree with Texas and the industry petitioners, the Obama administration’s attempts to combat climate change independently of Congress will suffer a major setback. See here for some background. The Chron sums up what’s at stake. The EPA made the move to regulate heat-trapping emissions from industrial sources after a 2007 Supreme Court decision that said the agency had the authority to limit greenhouse gases from cars and trucks under the federal law. As a result, President Barack Obama has tried to bypass Congress by moving his ambitious agenda for addressing climate change through the EPA, angering many Republicans. 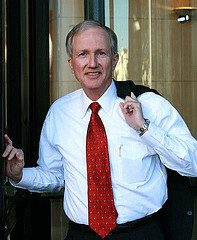 In briefs filed with the court, Texas Solicitor General Jonathan Mitchell argued that the Clear Air Act cannot be interpreted to allow EPA’s permitting requirements when the rules cause “preposterous consequences.” By the state’s estimation, more than 6 million industrial sources nationwide would be forced to meet the requirements at a cost of $1.5 billion. Legal experts said Texas might not be able to sway the justices because previous court decisions give deference to federal agencies when statutes are ambiguous. “The Supreme Court has said we defer to the agency if its position is reasonable,” said Thomas McGarity, professor of administrative law at the University of Texas at Austin. David Doniger, the climate policy director for the Natural Resources Defense Council, said fewer than 200 industrial facilities needed permits in the first two years of the new requirements for greenhouse gases. “So despite all the cries of alarm, the Clean Air Act’s permitting requirements are working just fine,” he said. “Given the court had this whole buffet of issues and still narrowed it to one” when it decided to hear the Texas case, “that makes going for the whole 99 yards unlikely,” Hester said. Lyle Denniston thinks things went reasonably well for the Obama administration. We’ll know in a few months. Daily Kos has more. One less court fight for us and the feds. The EPA and Texas on Wednesday said they have reached a deal over state permits for industrial air pollution, ending a four-year fight that to some had become a symbol of regulatory overreach by the federal government. The agreement comes after the federal agency initially rejected Texas’ permitting system, which allows some operating flexibility to oil refiners, chemical makers and others to meet emissions limits. Despite the EPA’s earlier reservations, the Texas Commission on Environmental Quality’s permit system appears largely unchanged – leaving environmentalists disappointed. Ilan Levin, an Austin-based attorney for the Environmental Integrity Project, said the system has the same potential loopholes as before. “The flexible permit program has a long history of abuse, and a lot of the damage is already done,” he said. The EPA invalidated the flex permit system in 2010, and later that year threatened crackdowns on plants that didn’t meet federal standard. All of the flex-permitted plants agreed to abide by federal standards in 2011, but in 2012 the Fifth Circuit Court of Appeals – yes, them again – ruled that the EPA had overstepped its authority. The EPA chose not to appeal that ruing, and this settlement is the conclusion of that litigation. The Sierra Club statement on this agreement sums it all up nicely. “The history of TCEQ’s flexible permitting program in Texas has been almost 20 years of confusion and litigation. As TCEQ itself has acknowledged, every single former holder of flexible permits has now received new standard permits, without a single plant closure or loss of a single Texas job, contrary to the heated rhetoric we got from Chairman Shaw and Governor Perry several years ago. “Moving forward, if TCEQ stays true to the wording of the new program and only issues flexible permits to truly minor facilities, we don’t foresee major problems. The details always matter. Having the right people at the TCEQ, people who will care about those details, matters as well. TCEQ members are appointed by the Governor. Consider that yet another reason to vote for Wendy Davis this November. Getting to be a habit. A federal appeals court on Friday rejected a legal challenge by Texas and Wyoming to the U.S. Environmental Protection Agency’s efforts to curb greenhouse gas emissions. A three-judge panel of the U.S. Court of Appeals for the District of Columbia Circuit, in a 2-1 vote, said the states and various industry groups did not have standing to sue because they could not show that they had suffered an injury or that a ruling throwing out the EPA plan would benefit them. The decision comes after the same court upheld the EPA’s first wave of greenhouse gas regulations in 2012, and is another win for the EPA, which has a strong track record in the courts in challenges to its rules, particularly those targeting greenhouse gas emissions. “The states and industry groups trying to block EPA from curbing carbon pollution under the Clean Air Act are on a long losing streak,” said David Doniger, climate policy director for the Natural Resources Defense Council. Friday’s decision concerned a challenge to the EPA’s efforts to make states include carbon dioxide and other greenhouse gases when they issue permits to industrial facilities setting limits on various types of pollution they emit. Frank O’Donnell, president of the not-for-profit group Clean Air Watch, said Friday’s ruling strengthens the hand of the EPA as it starts to implement President Barack Obama’s climate action plan. Obama in June directed the agency to write rules to curb carbon emissions from the country’s fleet of existing power plants. But O’Donnell said Texas and other states opposed to federal environmental regulations are likely to drag their heels when forced to comply with EPA timelines. “I predict they will be late filing their plans, due in 2016 under the scenario the president set forth, and will dare the federal government to intervene,” O’Donnell said. You can see the ruling here, via the Environmental Defense Fund. There have been so many of these lawsuits that I have a hard time keeping track of which one is which, so I’ll just turn this over to the Sierra Club for the last word. Be sure to tell Latino voters about this one, Greg. The desire to coddle polluters is strong in this one. A Texas-led coalition of energy-producing states has asked the Supreme Court to hear a case involving the Obama administration’s efforts to regulate emissions of carbon dioxide and other heat-trapping gases. The petition, which was filed last week, comes 10 months after a three-judge panel of the U.S. Court of Appeals for the District of Columbia Circuit upheld the legal underpinnings of the Environmental Protection Agency’s first-ever rules limiting emissions of greenhouse gases. In the 33-page petition, the states said the justices should hear their appeal because the new federal rules are hurting their economies. The EPA “is a runaway federal agency that must be reined in,” Texas Attorney General Greg Abbott said. David Doniger, who directs climate policy for the Natural Resources Defense Council, said the argument would be a non-starter with the court. The Supreme Court already ruled in 2007 that the EPA had the authority to regulate greenhouse gases, but that’s not stopping Abbott and his gang. This is as much about politics as anything else. Let’s hope SCOTUS remembers its ruling from six years ago and sends this appeal off to the dustbin. We have it. What are we going to do about it? Harris County, long known for smog, will need to clamp down on another harmful type of air pollution for the first time under new rules imposed by federal regulators Friday. The Environmental Protection Agency set a stricter standard for tiny particulate matter, or soot, a move that will force additional cleanup from the county, which already is out of compliance for ozone, or smog. Harris County is the only place in Texas with soot levels in violation of the new nationwide standard. As a result, it will become harder for some industries to expand operations and could require cleaner operations along the Houston Ship Channel. “This is the best holiday gift EPA could give breathers – the gift of cleaner air and better health,” declared Frank O’Donnell, who heads the Washington, D.C.-based advocacy group Clean Air Watch. EPA Administrator Lisa Jackson, however, said Harris County and others should meet the limit over the next decade without pollution controls beyond those existing and proposed federal rules require. The agency estimates that complying with the new standard would cost industry nationwide between $53 million and $350 million a year by 2020. By then, all but seven U.S. counties, all of them in California, should be within the soot limit, according to the FDA’s models. Meanwhile, the new standard should help prevent tens of thousands of premature deaths, the agency estimates. As with all things relating to the environment and enforcement, this has been a long time coming. You have to think that if the new, more stringent standard had been put in place back in 1997, when the weaker standard that was later thrown out by the federal courts for not being sufficient to protect the environment, industry would have long since come into compliance and we’d have had 15 years of cleaner air. We’d have also saved a ton of money in healthcare costs as well as millions of lives, two facts that never seem to get mentioned in this debate as prominently as “states rights” or whatever the justification is for those that want to continue polluting at the same levels as before. Funny how that works. The Environmental Defense Fund has more. The 5th U.S. Circuit Court of Appeals ruled Monday that the Environmental Protection Agency’s disapproval of Texas’ Flexible Permits program was not supported by the Clean Air Act. 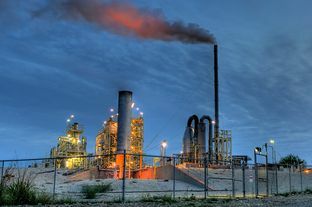 Under the Flexible Permits program, which had been in place since 1994, the Texas Commission on Environmental Quality put a cap on allowed emissions from oil refineries and other industrial plants by facility. 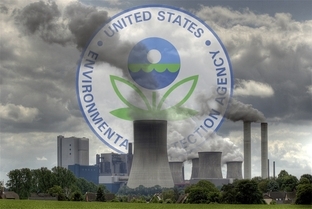 EPA officials announced in 2010 that they disapproved of the program because it might allow major polluters to exceed federal standards, record-keeping was inadequate and the methodology for calculating the emissions cap was unclear. 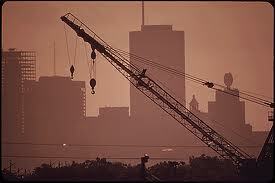 As a result, those flexible permits were no longer accepted under the Clean Air Act. The facilities that already possessed flexible permits were subject to federal fines. In the opinion, the court called the EPA’s disapproval of Texas’ program “untimely” and said it “unraveled approximately 140 permits” issued under the program. The court said the EPA’s reasoning was mainly based on wording, and not actual standards or procedures. “A state’s ‘broad responsibility regarding the means’ to achieve better air quality would be hollow indeed if the state were not even responsible for its own sentence structure,” the court says in the opinion. The opinion says the EPA must further consider the program. Elena Craft at the Environmental Defense fund pointed out that the court’s decision does not rubber stamp Texas’ Flexible Permits program, but rather deems the EPA’s reasons for disapproving the program inadequate. The program still needs approval from the EPA to exist. The flex permits may yet be denied, but not until further review and not on the grounds cited so far. This story isn’t finished yet. In case you missed it, there was another big ruling last week that will have a profound effect on Texas. A federal appeals court Tuesday upheld a finding by the Environmental Protection Agency that greenhouse gases pose a public health threat and require potentially costly limits from vehicles, power plants and other industrial sources. In an unanimous decision, the U.S. Court of Appeals for the District of Columbia Circuit ruled that the federal agency is “unambiguously correct” in its use of the Clean Air Act to regulate carbon dioxide and other gases linked to global warming as pollutants – a stinging rebuke to industry and 14 states, led by Texas, that had sued to block the landmark rules. Such rules could have a profound impact on Texas, which emits more carbon dioxide and other heat-trapping gases than any other state. As was the case with the Affordable Care Act, the Republicans in Texas bet big on winning in court, and as was the case with the Affordable Care Act they lost. In this case they still have hope for something more favorable from SCOTUS, but not this term, and they’ll be up against a unanimous appellate ruling. If the state had done a better job taking care of business this might not be such a big deal, but we all know how that has gone. The Environmental Defense Fund has more. Somehow, the world continued to rotate on its axis afterward. The unique way Texas regulates air pollution from refineries, chemical plants and other major industries is no more — for now. The EPA said Tuesday all 136 industrial plants with state-issued permits that do not meet federal Clean Air Act requirements have agreed to apply for new ones. The announcement comes one year after the federal agency rejected Texas’ use of so-called flexible permits. But the dispute is not over, because state officials and at least 10 industry groups are challenging the EPA’s actions in federal court. Gov. Rick Perry and other Texas officials have said the EPA was threatening jobs by forcing permit changes at the facilities, including some of the largest refineries in the nation. Al Armendariz, the EPA’s regional administrator for Texas, said the companies are converting their permits without any job losses. The plants are still suing the EPA over claims that they have no legal authority to intervene here, of course, but in the meantime they prefer the certainty of being compliant. Funny how these things work, isn’t it? Hair Balls has more. The stakes keep getting higher. 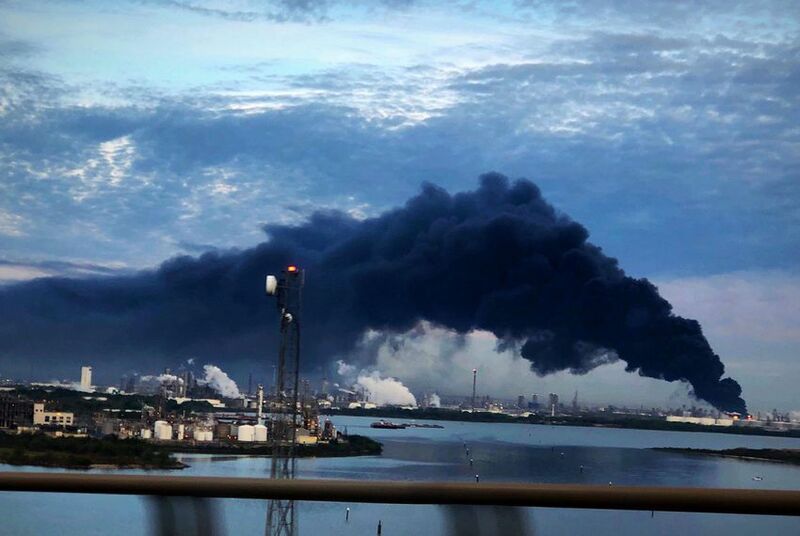 The EPA has threatened dozens of Texas refiners and chemical and plastic makers with penalties if they don’t begin taking steps to bring their air pollution permits into compliance with federal law by late December. The blunt threat was made in a recent letter by the Environmental Protection Agency’s administrator in Texas, heightening tensions in a standoff that has already reached the courts. Last week, the agency sent letters to 74 companies, giving them until Dec. 22 to explain how they intend to obtain federally approved permits. If they miss the deadline, then the EPA will penalize them, the agency’s Dallas-based regional administrator, Al Armendariz, wrote in the letter. This comes on the heels of AG Greg Abbott filing a brief in defense of Texas’ flex permits, and of the EPA turning its attention to natural gas wells. Whoever ultimately loses in this court battle is going to lose big, that’s very clear. I don’t have any idea who has the better legal case, but let me ask this: Does anyone truly believe that the state of Texas and the TCEQ, on their own and without any prodding from the EPA, really take the job of enforcing Clean Air Act regulations seriously? I don’t know how anyone can claim with a straight face that they do. How much that will really matter in the end is another question, however. Why bother to secede when all you need to do is disobey? Texas has refused to meet new federal greenhouse gas emission rules that go into effect in January, the latest anti-Washington move in an ongoing battle that could halt new construction at the nation’s largest refineries and other industry in Texas. The refusal to join 49 other states in agreeing to the new rules is the latest salvo from Texas in its fight with the U.S. Environmental Protection Agency, which Gov. Rick Perry has used on the campaign trail as an example of meddling by the federal government. “Texas has neither the authority nor the intention of interpreting, ignoring or amending its laws in order to compel the permitting of greenhouse gas emissions,” said a letter to the EPA from the Texas Commission on Environment Quality and state Attorney General Greg Abbott. 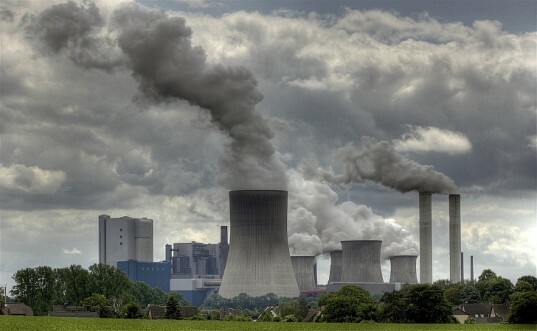 The new greenhouse gas rules go into effect Jan. 2, 2011. They require the nation’s largest industries to meet more stringent greenhouse gas emissions standards in new or significantly modified structures, rules that came on the heels of a U.S. Supreme Court ruling in 2007 that greenhouse gases are pollutants that can be regulated under the Clean Air Act and a 2009 EPA finding that the gases can pose a danger to human health. And yet in a sense it’s completely unavoidable, too. Gotta figure there’s more where this came from as well. After a lobbying push by oil giants, a bipartisan group of Texas legislators have asked state environmental regulators to quickly solve a permit dispute with the U.S. Environmental Protection Agency that has left some of the nation’s largest oil refineries in operating limbo. A letter signed by 46 legislators is the latest indication that while Gov. Rick Perry and his Republican supporters are ready and willing to wage war with Washington on everything from environmental regulation to education spending, some battles are wearing on the industries that have helped Texas weather the recession. 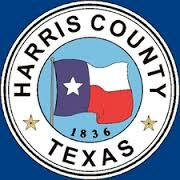 You can see the letter here; it has 29 Republican signers and 17 Democrats, with none of the latter coming from Harris County. Basically, they ask the TCEQ to offer all possible assistance to any plant that has a flex permit and wants to get in compliance now with the EPA rather than wait for all the litigation to conclude. Seems perfectly sensible to me. For all the chest-thumping and saber-rattling we’ve seen lately – and there’s plenty of it in the story, too – sometimes you just have to be practical. Richard Hyde, TCEQ’s deputy director of permitting and registration, said the agency has been trying for months to find a structure that will be acceptable to the EPA, but has so far failed. In the meantime, at least three critical projects are on hold, including a major upgrade at the Motiva Enterprises LLC refinery in Port Arthur, Hyde said. The EPA says it too is being approached by companies seeking federally approved permits, Al Armendariz, the EPA’s director of the region that oversees Texas, said in an e-mailed statement. 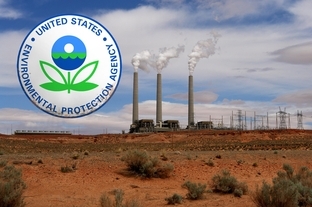 “EPA encourages TCEQ to quickly provide flexible permit holders a pathway forward,” he added. David Weinberg, executive director of the Texas League of Conservation Voters, a group that supports the EPA’s ruling on the flexible permits, said the letter and industry’s pressure indicates companies want a quick resolution. Weinberg alerted me to the story and sent me the link to the letter; the TLCV blogged about it here. Hopefully these companies will get their issues settled quickly, and others will want to follow suit as a result. We’ll see how it goes. The Environmental Protection Agency said Tuesday it was taking over the issuance of operating permits for two more Texas facilities — Chevron Phillips Cedar Bayou and Garland Power and Light — further escalating the federal-state fight over air quality regulations. “The state has refused up to this point to issue good permits, and we have a legal responsibility … to ensure the Clean Air Act is implemented,” EPA Regional Administrator Al Armendariz said by phone Tuesday. If the TCEQ had been doing its job instead of carrying water for polluters, this would not now be happening. If Governor Perry cared a tenth as much for the interests of the people as he does for his corporate benefactors, none of this would now be happening. They may get some relief from the activist federal judiciary, but they have no one to blame but themselves for their predicament. On a related note, the TCEQ will be making some changes to its permitting process to demonstrate that they are in compliance with the EPA and the Clean Air Act. Assuming this is more than just window dressing, it’s unlikely to have any immediate effect. EPA officials knew Texas was crafting proposed rule changes, but the agency’s regional administrator, Al Armendariz, said in an interview his focus wasn’t on the proposal. “Our action is going to be based on those rules that the state of Texas has already been implementing for a number of years,” Armendariz said on Tuesday. “It’s not a high priority for me to engage with the state in a process to create a new version of that program. I’d say he has their attention. We’ll see about the rest of it. Texas filed a federal court challenge Monday to the U.S. Environmental Protection Agency’s decision to reject part of the state’s air-quality program. State Attorney General Greg Abbott’s office — in a statement accompanying the announcement of the petition being filed with the 5th U.S. Circuit Court of appeals in New Orleans — said the law allowing the state rule was passed in 1995, and the Texas Commission on Environmental Quality submitted revised qualified facilities rules to the federal agency in 1996. Al Armendariz, the EPA’s regional administrator, has said the state isn’t following Clean Air Act requirements and it’s his obligation to ensure the federal law is followed. For a political party that’s forever yammering about frivolous lawsuits, these guys sure are a litigious bunch. We’ll see what the courts have to say, and we’ll see how much this little exercise in protecting the profits of polluters will ultimately cost. This fight between the TCEQ and the EPA, or more broadly between polluters and people who like to breathe, has been coming for a long time. Environmentalists are excited by the EPA’s new aggressive posture and hope it prompts an overhaul of the TCEQ and Texas environmental regulation in the sunset process. Former TCEQ Commissioner Larry Soward, who is helping environmentalists prepare for the fight, fears the opposite is about to occur. “I’m almost concerned that there’s going to be a legislative backlash and the Legislature is going to join the governor and the agency and say, ‘Hell, no!’” Soward said. Soward, a former Perry aide, said the fundamental problem of the TCEQ is that state law set it up to favor industry. He said he often had to vote for permits he did not like because state law does not allow the agency to change a permit up for renewal without the operator’s agreement. “We have a culture at the agency and in the state that economic interests are more protected … than the environment,” Soward said. Well, yeah. This is Texas, and that’s how our Republican government rolls. If you haven’t already, you really need to read this Observer story about the extreme, radical, pro-industry slant the TCEQ has taken under Rick Perry. I really can’t stress this sort of thing enough: If you care about pollution, about clean air, about clean water, about ensuring the citizens have a voice in what various polluting industries want to do, you need to vote for change in the Governor’s office. Just read the section in the Observer story with the sub-head “TCEQ vs The People”, about what happens when a giant chicken-raising business moves in next door to you. What remedies would you want to have if it happened to you? Whatever you thought of, the TCEQ isn’t interested in letting you have them. That’s how it is, and it’s how it will be as long as we have the government we have now. 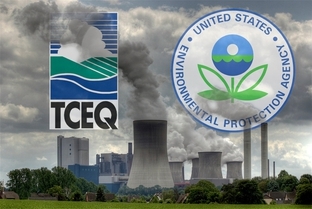 Why should anyone trust the TCEQ? Rick Perry wants the EPA to back off. I know, I’m as shocked as you are. Gov. Rick Perry, citing improvements in Texas air quality, asked President Barack Obama on Friday to get regional Environmental Protection Agency administrators to back off efforts to take over the state’s air quality permitting process for refineries and power plants. Perry told Obama the state process has improved air quality while ensuring economic growth. Neil Carman, Clean Air Program director for the Sierra Club said improvements in Texas’ air quality stand out only because of how polluted the state was. Perry’s letter said Texas has achieved a 22 percent reduction in ozone and a 46 percent decrease in nitrogen oxide emissions in the past decade. “Houston is second only to Atlanta in the total percent decrease in ozone for metropolitan areas since 2000, even with a 20 percent increase in population,” Perry said. However, records from the EPA website show Houston still far exceeds Atlanta for ozone pollution. That’s the thing about being the worst at something: You can improve a lot, and still be the worst at it. The state is getting exactly what it deserves from the EPA, which by the way first picked this fight over the Clean Air Act back in 2006. The fault lies entirely with the TCEQ and its industry-friendly “flex permits”. 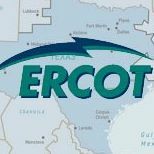 Any protests by TCEQ or the Perry administration that things are getting better are belied by the fact that we’re still lagging behind the rest of the country in compliance, and by the fact that the TCEQ’s own record of performance is so bad that even some Republicans are calling them out. U.S. Rep. Michael Burgess had some strong words for the Texas Commission on Environmental Quality today following news that it presented inaccurate results to the Fort Worth City Council and failed to notify the city or the public for weeks after it realized the error. The Lewisville Republican wants an investigation into why the agency didn’t make immediately clear that its testing of air quality in Fort Worth related to gas drilling had some problems as soon as they became aware of it. “Those responsible should be held fully accountable, and I believe that a robust investigation by the Texas Attorney General’s office would be appropriate,” Burgess said in a statement. Burgess said he was recently briefed by TCEQ on air quality issues related to gas drilling and he’s not happy to find out now that he wasn’t presented with all of the data. As BOR notes, Rep. Burgess is anything but an environmentalist. If he doesn’t trust TCEQ, why should anyone else? This matter isn’t directly related to the EPA issue, but it’s all of a piece. TCEQ is broken. It’s not working in the public’s interest, and there are direct costs that all of us in the state of Texas are paying as a result. And the problems with the TCEQ are the same as the problems with TxDOT and with the Division of Workers Compensation and with HHSC and with the TYC and with every other failing, dysfunctional agency in the state: They’re all Rick Perry’s responsibility. The people at these agencies are Rick Perry’s people, carrying out Rick Perry’s policies. Every last problem at every state agency is ultimately owned by Rick Perry. The only way to fix this is to put someone else in charge. Here’s a press release from State Sen. Wendy Davis on the Fort Worth issue. Press releases from State Sen. Rodney Ellis and State Rep. Ellen Cohen about the EPA issue are beneath the fold. Finally, while we have to wait till November to do something about the Governor, there’s a Sunset review going on for the TCEQ. The Alliance for a Clean Texas will be hosting a call on Thursday, June 10, to kick off their TCEQ sunset campaign. Details if you want to dial in are at that link. Tuesday’s unprecedented action affected a Flint Hills Resources refinery in Corpus Christi. The EPA’s action means the facility must submit an application with detailed information to the federal agency, which could approve or deny a permit. A “flex” permit essentially gives major polluters a pass on ratcheting emissions down at individual emissions sources, instead placing a cap on the facility as a whole. The cap is way too high and virtually unenforceable, critics charge. Former TCEQ commissioner Larry Soward, now a consultant for Air Alliance Houston, said industry is only reaping what it’s sown. “Industry got [the flex permit program] in place, proceeded to rely on it and now when the EPA is coming in and saying flexible permits aren’t compliant with federal law, industry is going to yell and scream,” Soward said. “Because of Rick Perry’s mismanagement of the state’s environmental agency, our state is now losing our ability to make our own decisions about air quality and the economy. While Perry will likely try to make this into a partisan issue, the truth is that the state was repeatedly warned, beginning in 2007 under President Bush, that its permitting program violated the law that granted Texas the authority to issue air pollution permits. Historically, under federal and gubernatorial administrations with leaders in both parties, Texas had earned the ability to administer the Clean Air Act. This delegation of authority has been important to Texas, letting our state implement the Clean Air Act in a way designed to fit our own air quality and economic needs. More from White here, and from Texas Politics here, here, and here.